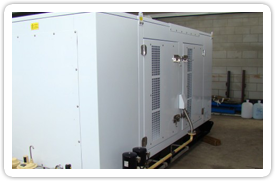 Viking Power Systems have been designing and manufacturing acoustic enclosures, sound attenuated shipping containers and acoustic panels for generating sets and other rotating machinery since 1985. 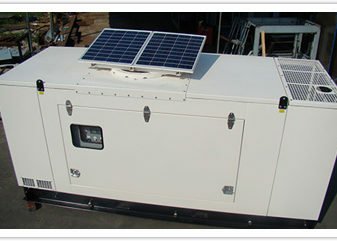 Our designs encompass a diverse range of equipment from small gasoline or diesel engines through to the soundproofing of large generating sets, pumps and other machinery. 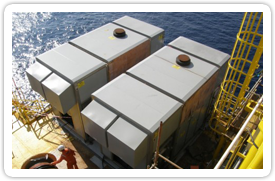 Over more than 20 years of operation our company has developed tested and proven methods of sound reduction in machinery enclosures, using a range of unique materials to reduce vibration and airborne sound transmission from the rotating machinery they enclose. Standard units are manufactured using electro-zinc plated steel sheet with a tough UV stabilised powder coat finish for improved corrosion resistance. Alternative designs in marine grade aluminium or stainless steel. In house custom CAD design to client specifications, or to meet local environmental regulations. Operating sound levels from 85dba @ 1 metre for industrial applications down to levels as low as 60dba @ 1 metre where, almost silent operation is critical. All enclosures use 304 stainless steel fixings and door hardware on external surfaces to ensure long and reliable operation. 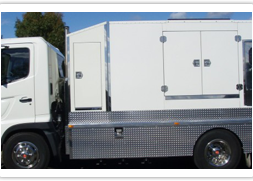 Our in-house custom design and manufacturing capabilities have provided solutions to a wide range of customer sound reduction problems or to meet location specific safety or environmental requirements. 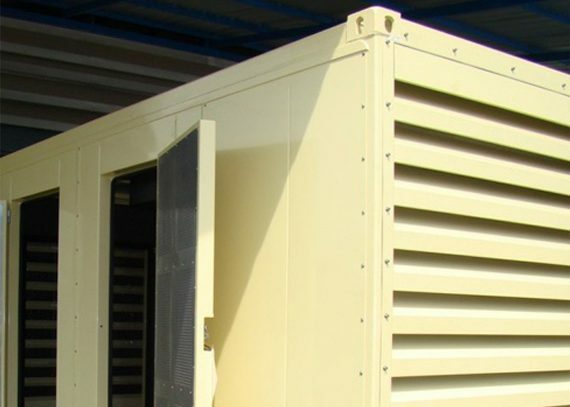 Sound attenuated shipping containers from modified standard 20’ or 40’ container through to custom built containers with integrated double walled fuel tanks or high levels of sound attenuation.